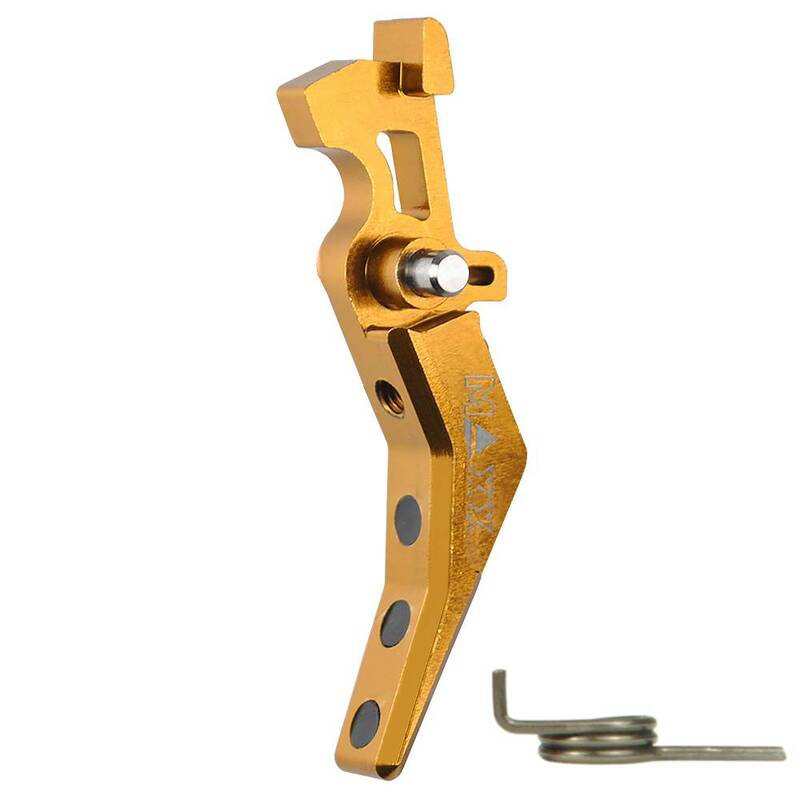 Maxx Model CNC Alu Advanced Trigger (Style B) (Dark Earth). CNC Aluminum Advanced Trigger is specially designed for fast response, smooth and consistent trigger pull on Ver. 2 Gear Box of M4/M16 series Airsoft AEG Rifles.